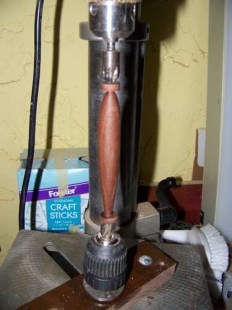 Homemade drill press lathe utilizing the chuck from an old battery-powered drill as a live center. Know I can make a live center. Learned something today. Check.